Hi. In this book you will find a girl. Her name is Willow. Many tragic things happen. You will laugh with her. Cry with her. And smile with her. This book is one to love. With many good things to enjoy. You will learn to feel passion for Willow and the others along the way. When I read this book I did laugh, cry and smile. It teaches you to have hope and that when life puts you down, you will go right back up. Hope you enjoy this book as much as I did. It is a story that you will remember forever. Hope you enjoy this wonderful story. Bye! This is a beautiful book about a girl named Willow Chance. She is 12. She doesn’t have any friends because she is a complete genius. She reads college medical textbooks, and knows tons about plants. And then, when she has finally made a friend, tragedy strikes. In this eye-opening book, Willow learns about kindness, trust, and friendship. 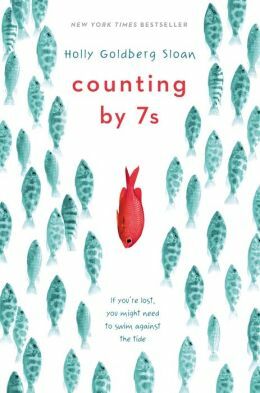 If you like the books Wonder, or Out of My Mind, you’ll love Counting by 7s.